Specializing in all styles of outdoor photography including surfing, skateboarding, bodyboarding, skimboarding and windsurfing. Also natural landscape photography, advertising and product photography and stock material. 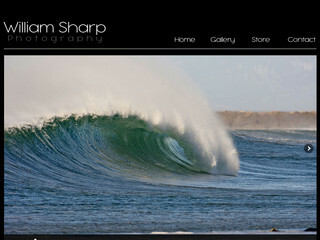 Visit the website of William Sharp now ! William Sharp , belonging to category "Photographers"
Surfing Images is a surfing stock photography based in Encinitas California. I love to shoot bodyboarding, surfing, skateboarding, biking and some lifestyle photos. Official home of Mickey Smith Photography Surf and Bodyboard photography. The new website of Stephane Salerno. Photos of Bernard "Narbé" Testemale.